★It has adjustable straps, it can suit for child or adult. 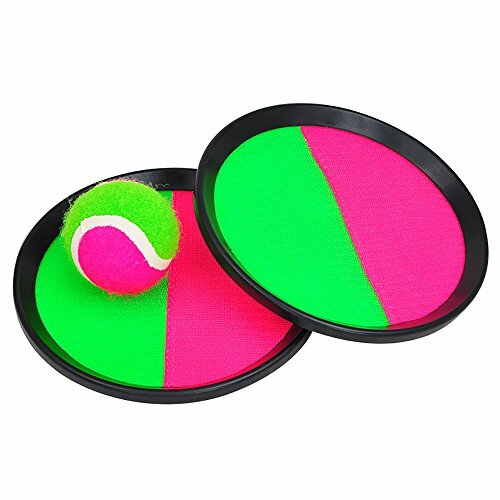 ★2 Paddle mitts and one tennis ball per pack. ★Provides a great upper body workout and promotes healthy living in kids and teenagers, it also increases blood and oxygen flow and provides a great ,fun workout for the entire family. ★Pevor will provide the BEST SERVICE to our customers, 30 days no reason return or MONEY BACK. Any question will be replied within 24 hours. Velco isn't like it use to be.